Before you choose a name for your business, service, or product, make sure the name is not already in use. If the name you choose is already in use, or is too similar to a name that is already in use, you may be infringing on someone else’s trademark. Trademarks are exclusive rights granted by the United States government to a person or entity to use distinctive names or symbols that help consumers recognize the company, its products, and its brand. In the United States, the first person to use a name or symbol in commerce will have ownership over the trademark rights to it. Owning the trademark rights to the name or symbol has value. Ownership gives the trademark owner special rights. Specifically, the trademark owner has the right to sue anyone who uses the name or symbol without the owner’s permission. Accordingly, when selecting a name for your business or product or when designing your business logo, you need to make sure your name or logo will not violate someone’s trademark. Search the trademark database at the United States Patent and Trademark Office (USPTO). Conduct multiple online searches using different search engines and different spellings and permutations of the desired name or symbol. Get a legal opinion from a patent and trademark attorney. You should also take steps to assert trademark rights to your name and symbol by registering it (with the help of an attorney) with USPTO. 1. Possibility of confusion. When choosing your name or logo, you must ask yourself what is the “likelihood of confusion” when comparing it to other trademarks. Think about whether your mark looks similar, sounds similar or means something similar to another trademark. If so, you should go with a different name or logo. The standard courts use to evaluate trademark infringement claims is whether the name or logo is similar enough to cause confusion, even if it is not exactly like one that is already in use. As a result, merely changing the name of an existing trademarked name by pluralization or the spelling may not be sufficient to avoid a trademark infringement claim. Fanciful or Coined Marks: A fanciful or coined mark is at the strongest end of the spectrum because it is inherently distinctive. Such a mark consists of a combination of letters that has no meaning; it is an invented word. An example is KLEENEX for facial tissue. These marks are afforded the broadest scope of protection against third-party use. 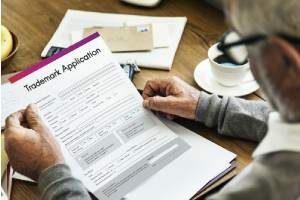 Arbitrary Marks: An arbitrary mark is composed of one or more words that have a common meaning in the English language but that are used in connection with products or services that are unrelated to that meaning. For example, FOX for a broadcast company. Suggestive Marks: A suggestive mark hints at or suggests the nature of a product or service or one of its attributes without actually describing the product or service. An example of a suggestive mark is PRUDENTIAL for insurance. Descriptive Marks: These are one or more words that merely describe a product or one of its ingredients. These works are too weak to receive trademark protection. An example of descriptive marks would be SMOOTH and SOFT for shaving cream. Such a mark is unlikely to be granted registration, as the phrase merely describes an attribute of the product. Generic: A generic word or phrase is so inherently descriptive of a product or service or an entire class of products or services as to be incapable of ever functioning as a trademark. Generic words can be thought of as the common name of the product or service in question. For example, “shoe” is a generic word for footwear. Generic words are not registrable or protectable in relation to the products or services they signify. 3. Trademark dilution. This concept involves an unauthorized use of another’s trademark on products that do not compete with those of the trademark owner. For example, a famous trademark used by one company to refer to automobile parts could be diluted if another company began using a similar mark to refer to pet products. 4. Trademark protection. Protect your trademark with registration. 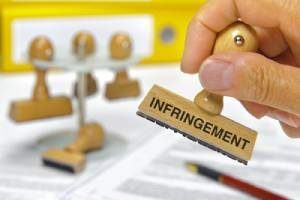 Other ways to protect it include watching out for other companies using your trademark, refraining from turning your company name or trademark into a verb (such as “googling” to refer to an internet search), use TM or SM to show others you have a claim to the name, and use bold letter styles and fonts. 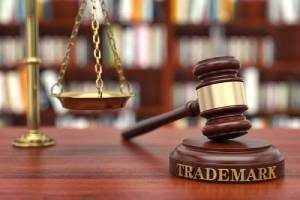 Before you incur expense on a new trademark name or symbol, work with an experienced Trademark Infringement Attorney at KPPB LAW. Contact them soon for a consultation on your case and for more information.